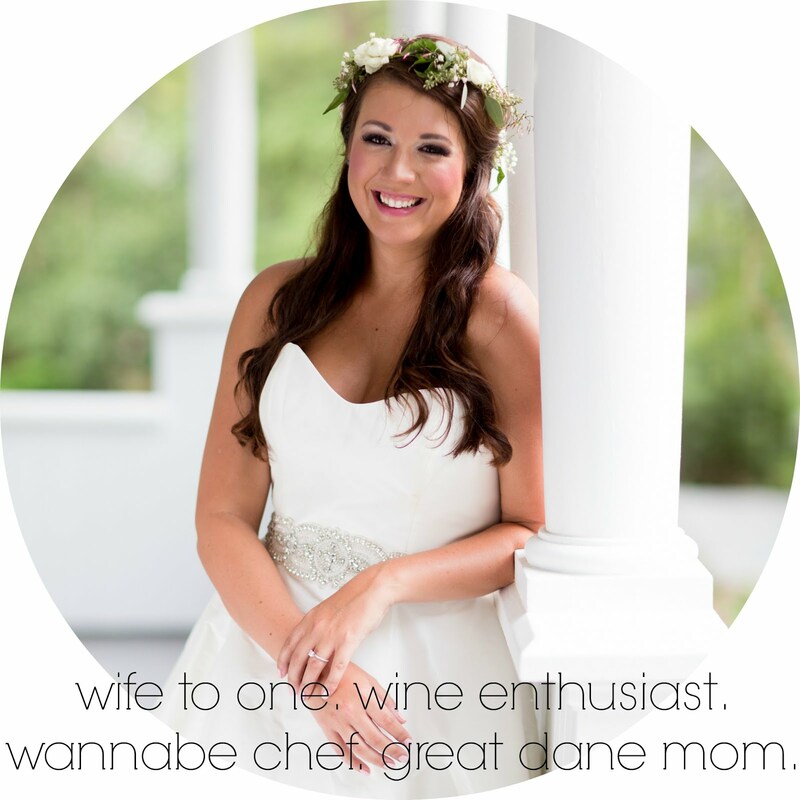 as the wine cork turns: how to make your own herman. how to make your own herman. is it too late to post my diy halloween costume yet? 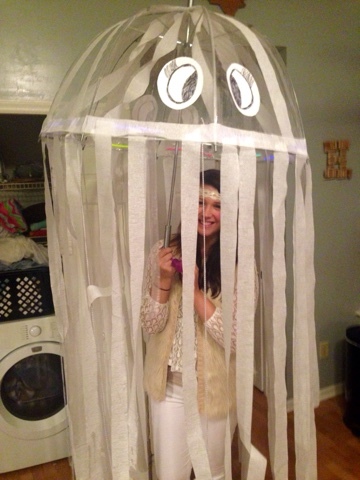 i've been racking my brain trying to figure out why i named a girl jellyfish herman. and i still got nothing. 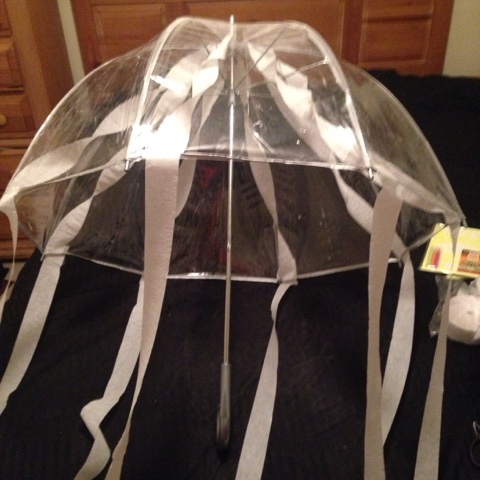 herman was easily made from a clear bubble umbrella, some tape, white streamers, glow sticks, paper, a sharpie and a little creativity. 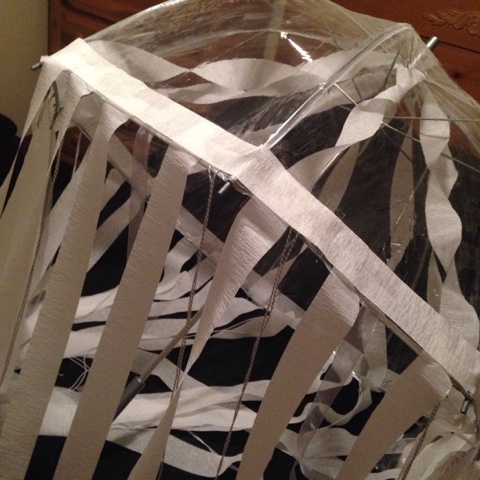 i started by taping some twisted pieces of streamers in the center. 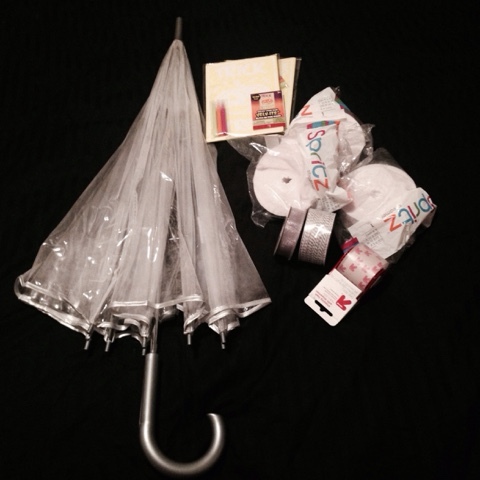 then took those and aligned the entire bottom of the umbrella with streamers that hung at varying lengths to the floor. it was basically the definitely of "winging it." 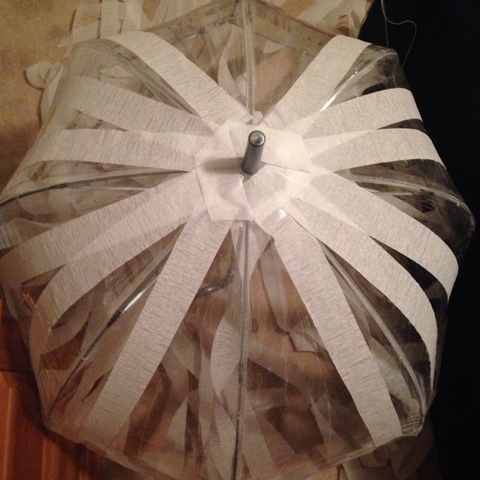 to give herman more of a put together look, i took more streamers and outlined the rim of the bottom of the umbrella herman's body. 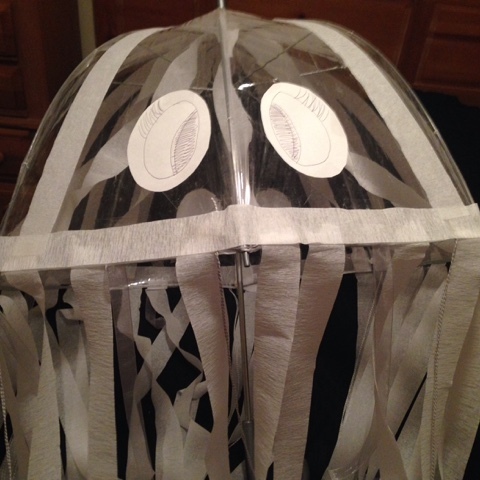 i taped more streamers to the top to give his head a more "bubble" look. cut out two circles and drew some googly-eyes. actually i cut out four eyes and had some on the backside of herman. 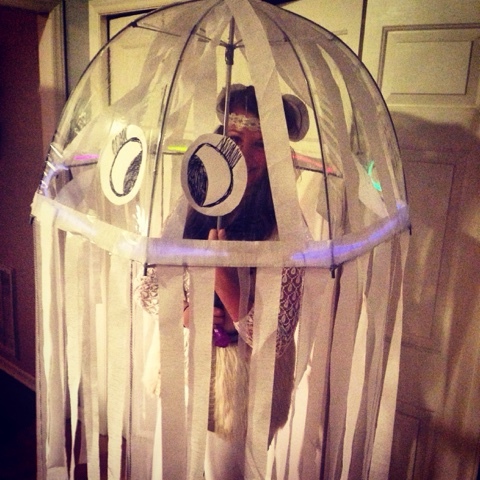 hey, my jellyfish; my rules. plus herman wanted to see who was behind him at all times. 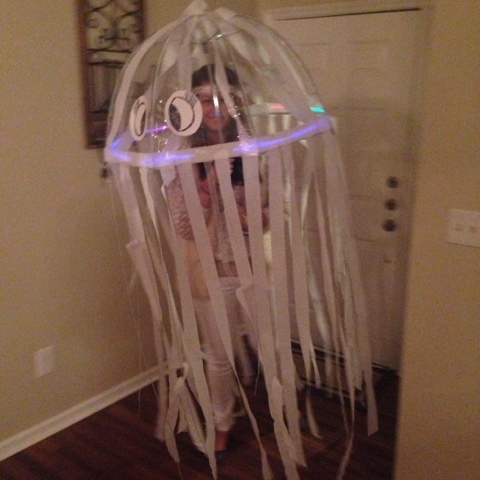 i taped some colorful glowsticks all around him, dressed in all white/off-white from head to toe and boom; you have a jellyfish costume. herman got deemed "the costume of the party." 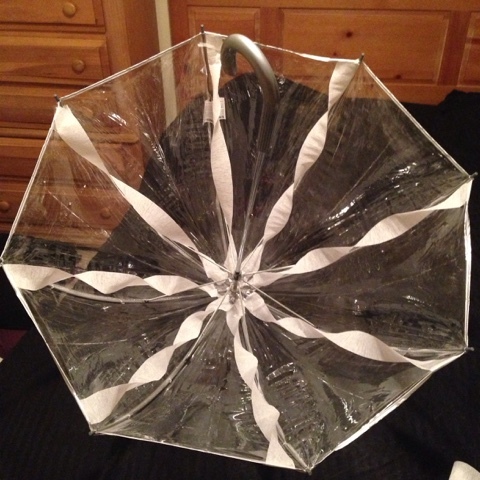 i will say though - holding an umbrella around all night can get tiring, but it was a great arm workout. getting through doorways is pretty tricky too. i think by the end of the night, i had the hang of it. and thank goodness we had a house party. i don't think herman would be too fond of car rides. i have a love affair with leopard. i'm moving to hilton head island. a tour of our home with nothing in it.